Enjoy the best the region has to offer with Grosbusch. Luxembourg and the neighbouring regions, Saarland (in Germany), Champagne and Lorraine (in France), have an abundance of crop varieties, with tasty specialities that we’ll help you discover. Grosbusch works with a large number of growers from the Greater Region, selected for their work and their outstanding products. Our aim is to promote these regional flavours to our customers. 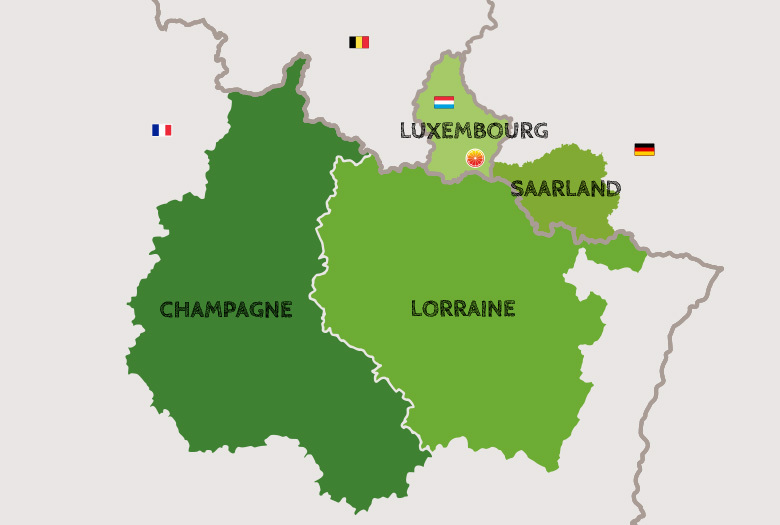 Saarland (in Germany), Champagne and Lorraine (in France).